Arduino is an open source platform for the electronics prototyping. It comes with easy-to-use and flexible hardware and software. This platform is ideal for the designers, artists, electronics enthusiasts, hobbyists, and everyone who want to develop or create interactive environment and objects. In the simple language, an Arduino board can control servo motors, does the actions based on the input through the buttons, can read the sensors, and can also be expandable with the help of the shields. 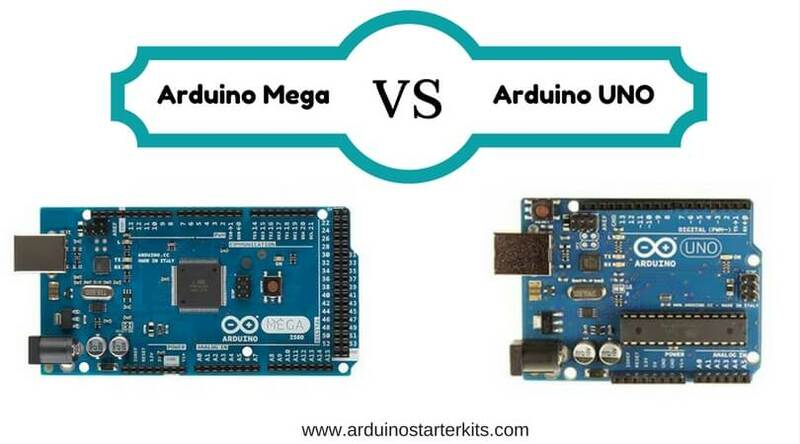 In our previous post, we have seen the reviews and comparison of the two Arduino boards, Arduino Mega Vs UNO. Today, we will see the top comparison of another two well-popular Arduino boards, Arduino Nano Vs Micro. Check the features, specifications, and other details to decide the best suitable Arduino board for you. The Arduino Nano is a tiny sized breadboard-friendly board. It has similar kind of functionality to the Arduino Due. The Arduino Nano 2.X uses ATmega168 chip and the Arduino Nano 3.X uses the ATmega328. Powered by ATmega32U4, the Arduino Micro is designed with the accompany of Adafruit. You need to connect it via a microUSB cable to your computer, and the Micro will support the microcontroller to get started. The Arduino Nano has an onboard USB to serial chip and connector, while the form factor of the Arduino Micro can be easily placed on a breadboard. Both the Micro and Nano has the operating voltage of 5V and processor speed of 16Mhz. The Arduino Micro comes with 20 digital I/O pins, among which 12 pins can be used as analog inputs and the rest 7 can be used as PWM outputs, while the Arduino Nano comes with 14 digital I/O pins, out of which 6 can be used as PWM outputs, and 8 can be used as analog inputs. The Arduino Nano comes with an integrated USB; it misses the power jack, though. And you need to use an MIni-B USB cable than a standard USB cable. The Arduino Nano’s ATmega328 has a 32KB of flash memory (2KB for the bootloader), 2KB of SRAM, and 1KB of EEPROM, while the ATmega32U4 chip of Arduino Micro also has a 32KB flash memory, but 4KB is used for a bootloader, 2.5KB of SRAM and 1KB of EEPROM. The Arduino Micro uses the Arduino IDE software for programming. The bootloader comes as pre-programmed on the ATmega32U4 which allows you the access to upload a new code. You do not need any external hardware program for it. The Arduino IDE software is used by Arduino Nano also for the programming. Also, the ATmega328 comes with preinstalled bootloader. Same as Micro, you will not require any external hardware to upload a new code on it. The AVR109 protocol is used for communication in Arduino Micro, while the Arduino Nano uses STK500 protocol for the same. An ICSP (In-Circuit Serial Programming) header with the Arduino ISP to program the both microcontrollers by bypassing the bootloader. A little bit look at Arduino Mini Vs Nano shows that the first has the 24 I/O pins against the 14 of the latter one. The Arduino Mini uses an ATmega168 processor chip and comes with pre-soldered pin headers. Also, the memory specifications are same as the Arduino Nano (32KB flash(2KB for bootloader), 1KB EEPROM, 2KB SRAM) and 16MHz clock speed. Arduino boards are becoming one of the most popular open source microcontrollers across the globe. There are many features and specifications which come common in the different Arduino boards. These abilities also make them versatile to use. As it is open source, you will be free to download the programming and schematics to use them in the way you want. 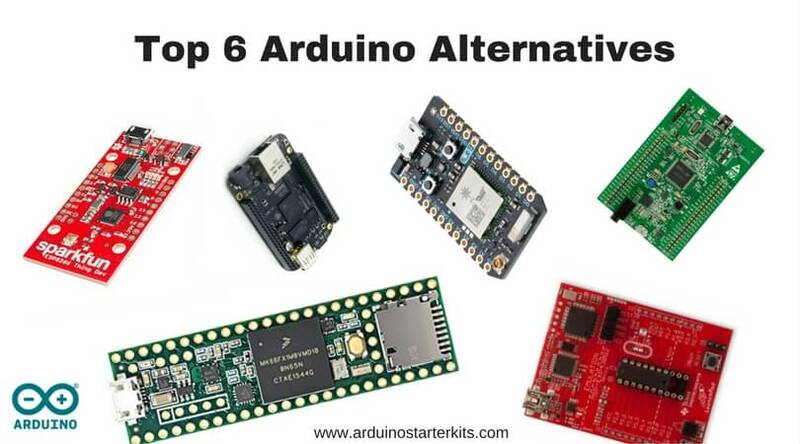 Though all the Arduino microcontrollers are helpful to build your design, having the knowledge about detailed specifications and features of the particular can help you get the best suitable board. 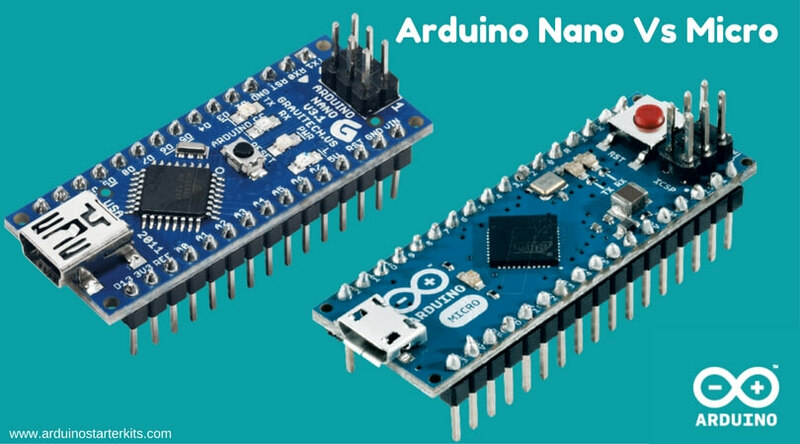 And this top comparison of Arduino Nano Vs Micro will give you a clear idea in the process.